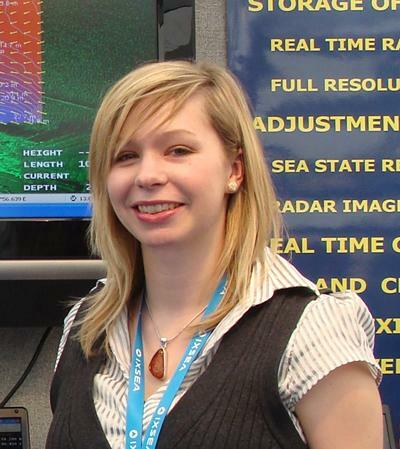 After completing a BSc (Hons) Geography degree at The University of Edinburgh, I chose to complete the MSc Oceanography course at the NOC. The world class research and teaching facilities and the nature of the MSc course (as a conversion course) led to my decision to study at the NOC. I was awarded the Richard Newitt Scholarship from the NOC and also received a Society for Underwater Technology Educational Support Fund. The flexibility of the MSc course allowed me to initially follow a general pathway and later specialise in geological and marine geophysical courses. In a similar thread, my Research Project focused on analysing geophysical datasets using LiDAR data from New Zealand. Recent and original unexamined LiDAR data from the coastal zone was used to identify morphological change and physical processes operating following a terrestrial slope failure event. This led to the successful creation of a high resolution map of the near shore zone which has been published in Geomorphology (http://eprints.soton.ac.uk/166613/) in collaboration with The University of Auckland and Environment Bay of Plenty Regional Council, New Zealand. Following the MSc programme, I worked in industry for 2 years for SeaDarQ B.V. in The Netherlands. SeaDarQ has developed radar processing software capable of detecting oil spills and extracting hydrographical parameters from the sea surface. My position within SeaDarQ combined research and development with sales and marketing. From 2010 to 2014 I completed my PhD at the University of Southampton, in collaboration with the British Geological Survey, investigating lake bed environments, modern sedimentation and the glacial and post-glacial history of Windermere, UK. My PhD built on marine geophysical knowledge gained during the MSc programme and combined high resolution geophysical datasets with sediment analysis, geomorphological mapping and historical research. This study demonstrated that a catchment analysis, using several datasets and techniques, can be used to inform wider regional and ice sheet wide glacial reconstructions. The integrated approach further demonstrated the value of lake sediments as a high resolution record of local and regional environmental change. I am currently working on a NERC Impact Acceleration project which aims to increase, advance and accelerate the impact of recent NERC research on Windermere. As part of this project, a workshop on increasing the impact of recent research in Windermere was held in May 2014 in Far Sawrey, Windermere.